Tucked away along the outskirts of downtown Birmingham, El Barrio provides a party—well, more like a fiesta—atmosphere despite the restaurant’s crowded space. I recently tried Birmingham’s trendy Mexican restaurant for the first time to see what all of the hubbub was about and El Barrio didn’t disappoint. There is a full bar and an open dining area, so it lends itself to being a louder environment. In my opinion the louder nature of the environment is a positive for the restaurant. When I ate there, a sizable group of young professionals enjoyed drinks and several orders of chips, as well as each other’s company. I’ve only made one trip to El Barrio so it’s impossible to have tried everything, but I was able to eat one of the specialty tacos and the popular chicken quesadilla. 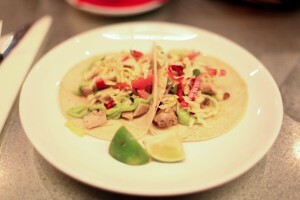 The pollo taco features a soft-shelled taco stuffed with roasted chicken, bacon, cheese, chipotle slaw and avocado sauce. You really get a lot of bang for your buck with these tacos. They’re decent in size, so two should be just enough to fill you up. El Barrio also has three kinds of quesadillas to choose from; I chose the chicken. Although El Barrio doesn’t “reinvent the wheel” when it comes to quesadillas, the chicken quesadilla had a nice surprise. The sauce inside the quesadilla was a green and tangy tomatillo sauce that really helped make the quesadilla special in my opinion. On a side note, the chips and queso dip are delicious. 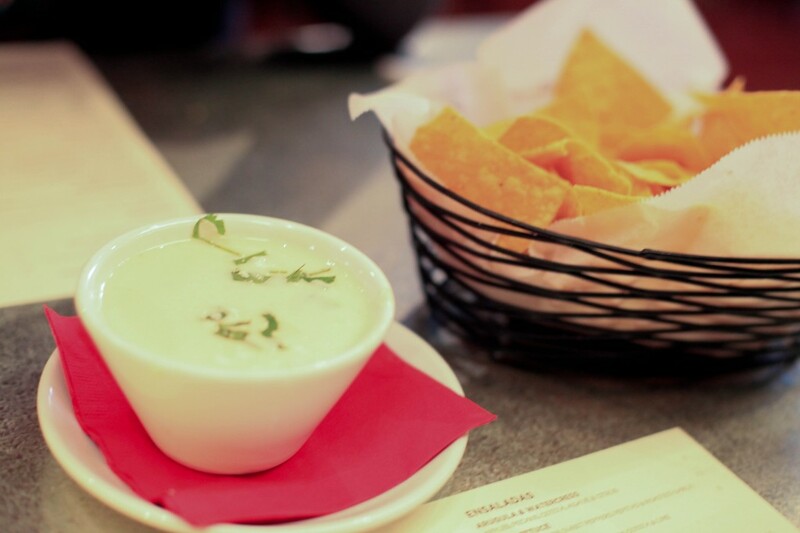 Make sure to get that as your side when you take a trip to El Barrio. You won’t be disappointed. The only negative with El Barrio seemed to be the space. It’s hard to find a time for dinner when it’s not crowded. I attempted to go to El Barrio on a Saturday night, but it was an hour and a half wait, so make sure to be careful about when you choose to go, or you could be waiting a significant amount of time.